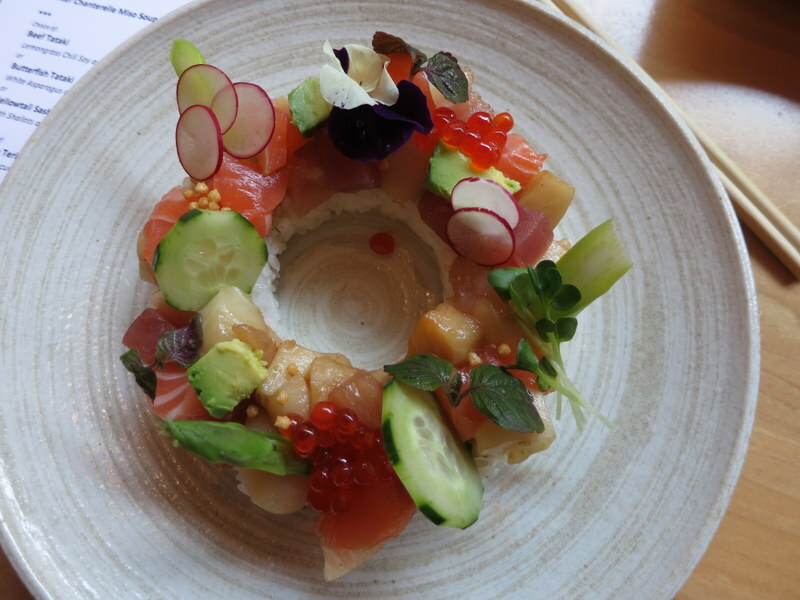 My only SFRW lunch this year was at Roka Akor where we enjoyed two beautiful courses of modern Japanese cuisine for $25 per person. Last month I went to New York City. While in Manhattan for five days, my food-loving friend, Jon, and I agreed to go to at least one world-class super schmancy restaurant and spend a ridiculous sum of money on food. Mission accomplished: we went to Eric Ripert’s Le Bernardin. Please let me describe to you the most expensive meal I have ever eaten. Le Bernardin is a seafood restaurant. 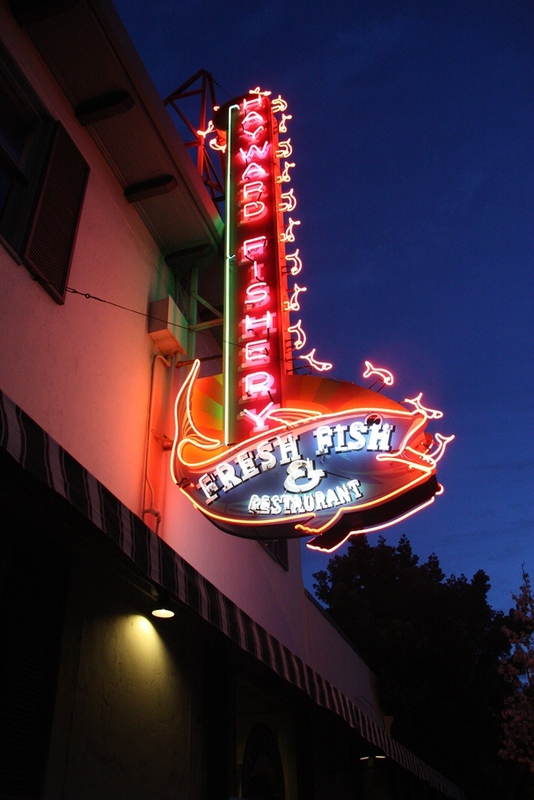 Their motto is “the fish is the star of the plate”, which, imho, could use some work, but they seem to be doing fine even with a sorta cheesy tagline. In 2009, Le Bernardin was voted 15th best restaurant in the world in the Restaurant magazine Top 50. Le Bernardin is one of only seven restaurants in New York awarded three Michelin stars, and is the restaurant which has held four stars from The New York Times for the longest period of time, having earned the ranking in early 1986. 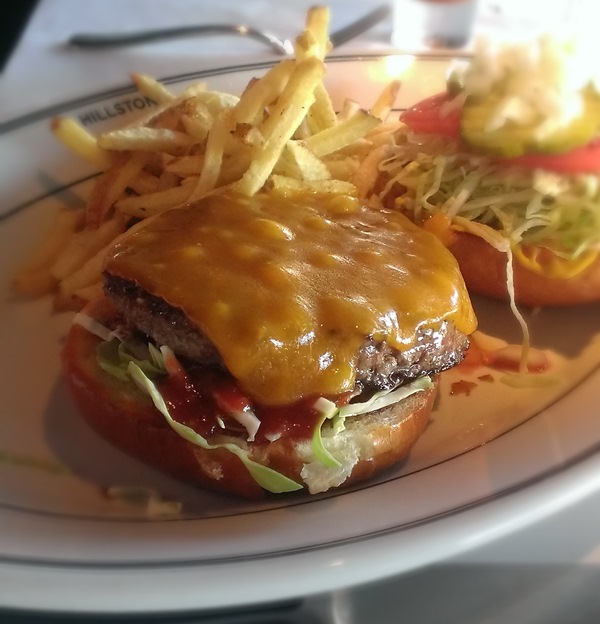 In 2013, Zagats ranked it the #1 restaurant in New York City*. Happy Birthday to me… this is where I chose to spend my birthday this year with my family. Where’s a nice place that’s close to Hayward (my fam lives in Hayward), not too terribly expensive (I’m not that kind of birthday girl) and has food that all four of my super picky fams will enjoy (sorry guys, you know it’s kinda true)? The Lake Chalet. 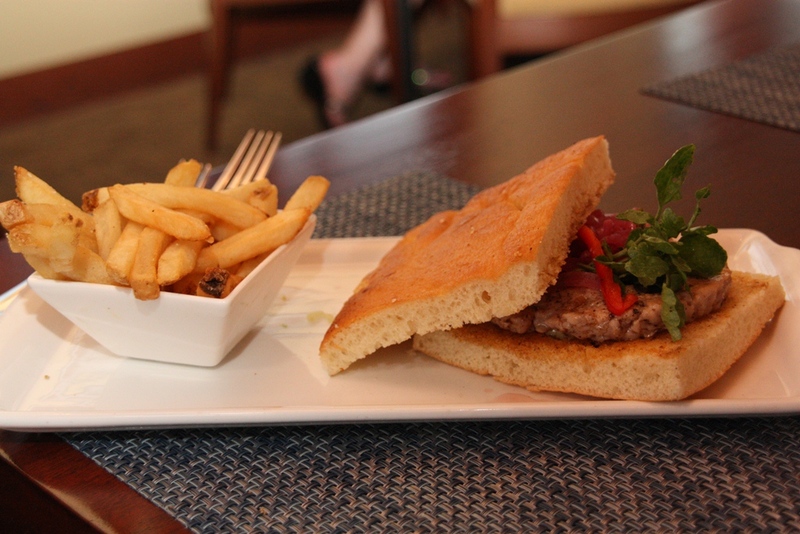 For Mom: Lake Chalet is classy and upscale with nice views of the lake and outdoor seating. For Dad: It’s got a “normal” seafood/steak menu with things that are just short of the “art food” he so dreads. For Sister: The bar is nice and serves cutesy drinks, and the delicious-sounding choices on the menu make it difficult for her to choose though she’ll probably be happy with whatever she gets. And for me: it’s a nice place with good service and good food. There. Birthday done…. Ah, American cuisine. Gotta love it sometimes, even when it threatens to clog your arteries and send you keeling over into your full rack of ribs. 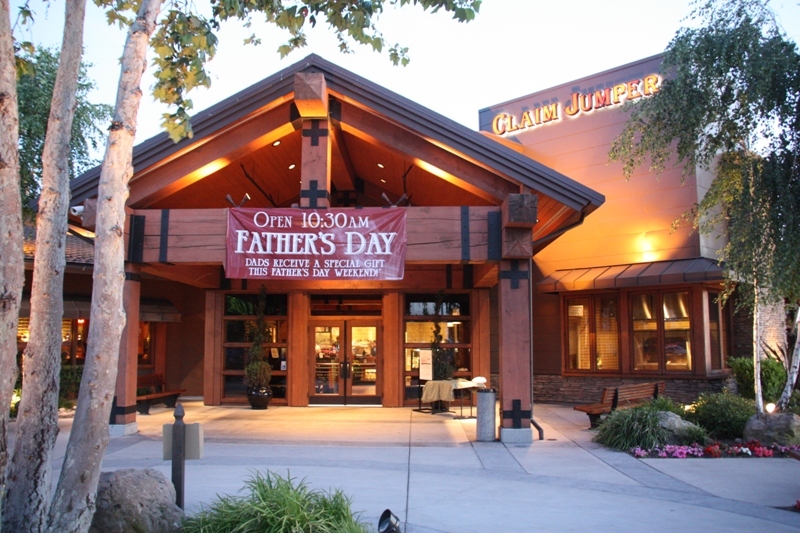 Claim Jumper is a large chain restaurant, which doesn’t usually qualify for the old B&C treatment. I thought I’d take the time, however, to just say a few words about CJ, since it’s a bit of a special place…. 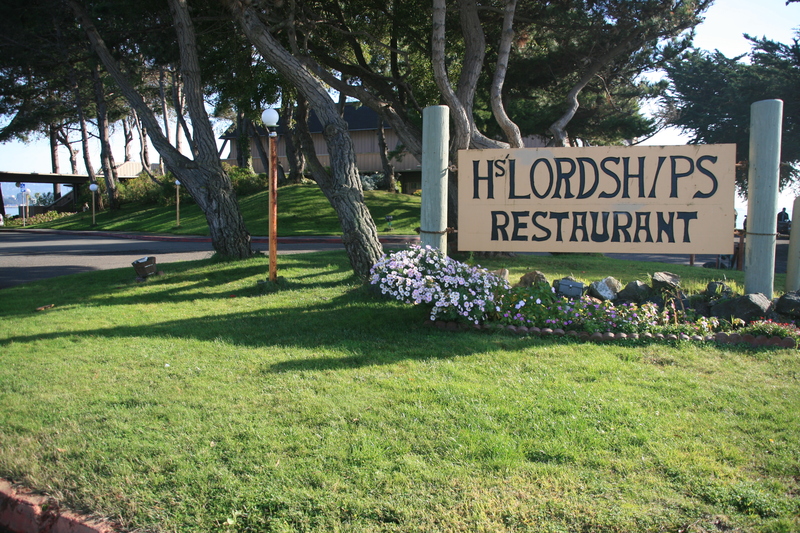 Hs Lordships is an enormous restaurant and banquet facility out on the Berkeley marina, situated happily on a tiny sliver of land next to the Berkeley pier and surrounded by water on three sides with views of the City, the bridges, and Berkeley. Their main deal is a surf and turf sort of situation, but during this visit I didn’t even lay eyes on the menu for one moment. That’s right, we went for the Lunch Buffet. This place has a lunch buffet to end all lunch buffets. According to my family, the place is usually really quiet on weekdays, despite the amazing spread of food available Monday through Friday for an extremely reasonable price ($17 or so a person). The day we went, however, must have been “work Christmas party” day or something because the place was packed. There must have been hundreds of people in the restaurant, parked in front of their white tablecloths in packs of 4, 6, 10, and 20. It was a bit of a madhouse. And like amateurs, my party of six walks in with no reservations at 12 noon….